Edible oil filtration is a tough job that requires attention and experience because of the public health issues. Using corrosive metals as filter plates or liquid oil through parts may cause severe health problems. City Filter Press is an experienced company in edible filter press manufacturing for years. Several edible oil filter press machine manufactured and assembled our customers' factories properly. 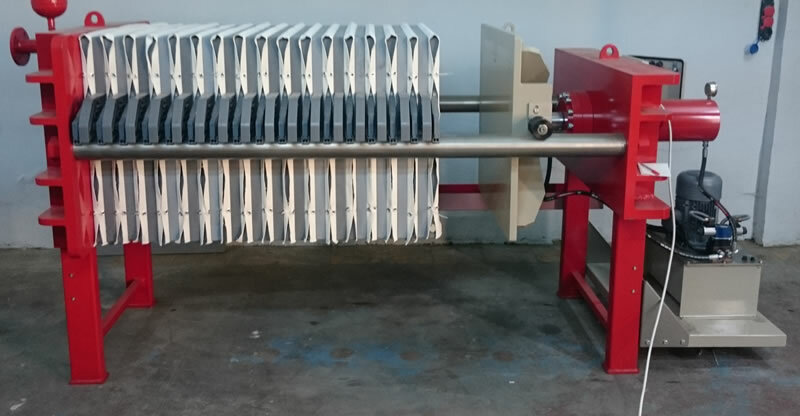 Our filter press machines for edible oil are coated by stainless steel for all luquid passing parts compliance with food industry regulations. Sunflower oil, corn oil, soyabean oil, olive oil and palm oil filtration can be done by our filter press. According to types and temperature of your edible oil we can use specified cotton or polyester filter cloths and filter paper. Our filter cloths and filter papers do not change the natural contaminants and natural taste of edible oil products. All of these type of oil can be filtrated by our special desinged edible oil filter press machine.